The Presbytery of the Twin Cities Area will gather in its stated meeting Saturday, Jan. 26, at First Presbyterian Church in South St. Paul. A docket talk is slated at 8:15 a.m., followed by registration and fellowship at 8:30. The meeting begins at 9. The presbytery welcomes the Rev. 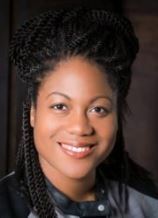 Dr. Danielle Ayana James, a United Church of Canada pastor, coach and consultant who has explored the question of ministry assessment and impact. During the meeting, she will engage the presbytery with the question, "How is your church doing, really, and how do you know?" After the meeting, the conversation with James will continue in an afternoon workshop. The complete call to meeting is at "Stated Meeting." How is your church doing, really? It's one of the hardest questions we have to answer, in part because of one even harder question: How do I know? Traditionally, we've measured the health of churches and ministries with numbers: the number of people who worship on a Sunday morning, or who attend education classes. Or the size of our budget. Or whether we can afford a full-time pastor. But are those numbers the best way to assess congregational health and, especially, the impact of your ministries? Are there other means to know how our church is doing, really, and how we might strategically re-align our resources? These are the questions the Presbytery Leadership Team has invited the Rev. Dr. Daniella Ayana James to explore with us on Saturday, Jan. 26. In our Presbytery meeting that morning (we begin at 9, and Danielle is the first main item of business), Danielle will introduce the subject, "How Is Your Church Doing, Really? -- and How Do You Know?" In the afternoon, she'll help us dig deeper in a 1-to-3:30 p.m. workshop, "New Strategies for Assessing and Accelerating Impact of Your Congregation." Here's a video with Danielle herself describing her time with us. Please, consider being present for both the presentation and workshop. Come with a small team from your congregation if you can. Impact really matters. That's at the core of Danielle's message. Come and explore with her how you might increase the impact of your congregation's ministries and the good news stories you tell. The Congregational Vitality Committee will host a workshop Jan. 26 by its Congregational Development Grant Review Committee after the presbytery meeting, beginning at 1 p.m. Those interested in applying for a congregational grant in 2019 are encouraged to attend. This will last about an hour and provide information about the grant application and review process. During the workshop, participants will see the evaluation criteria and have the opportunity to ask questions about the process. Successful 2018 grant recipients will offer stories. The Presbytery of the Twin Cities Area awarded nearly $200,000 in grants in 2017 and 2018 to 16 different congregations to explore and implement creative new ministry. A third round of grants will be awarded this year, according to the parameters of the application and review process. The 2019 Presbytery Mission Trip is now on the calendar, slated March 30 through April 7, and planned in collaboration with Presbyterian Disaster Assistance. Participants will travel to New Bern, North Carolina, and assist in disaster recovery, clean-up and rebuilding from the major flooding from Hurricane Florence. The total cost per participant is $250. Those who are interested are invited to contact Brenda Alexander at 651.900.3119 or Ken Wooley at 715.222.1063. Additional details are available in an invitation letter at "Presbytery Mission Trip." Be a part of something big -- something meaningful. Presbyterian Youth Triennium is a gathering for high school age youth from the Presbyterian Church (U.S.A.) and the Cumberland Presbyterian Church that occurs every three years. The 2019 event is July 16-20, 2019 at Purdue University. 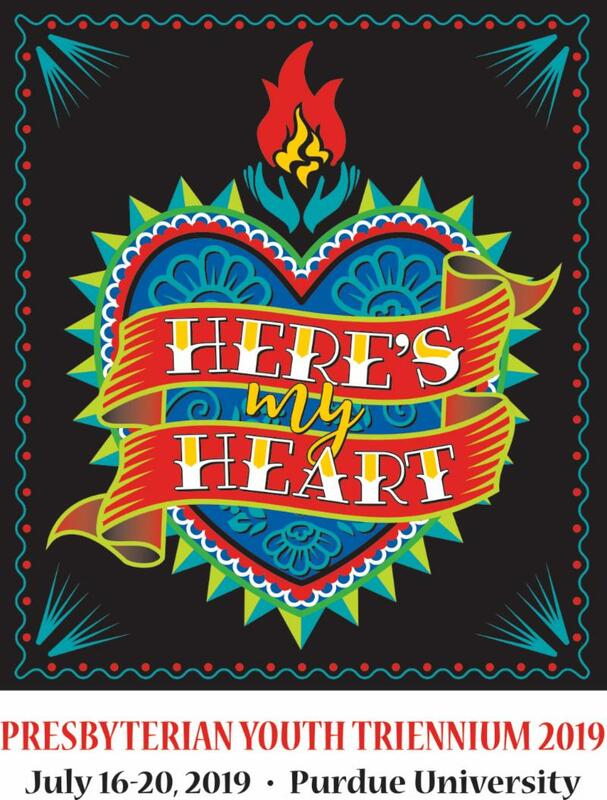 The theme for the 2019 event is "Here's My Heart". The Presbytery of the Twin Cities Area is again sponsoring a group that your church can join, and Wendy Griffin is the presbytery's coordinator and registrar. If your congregation might wish to participate in this outstanding event for youth, please send an e-mail to ptca.pyt2019@gmail.com. Indicate whether you plan to send youth to participate in the presbytery's delegation, and approximately how many youth will come. Griffin's complete "invitation" letter can be found at "Presbyterian Youth Triennium." A Triennium information sheet is at "Going to Triennium." Can you come? You're invited! One of the things I hear is this: I'd come to more Presbytery meetings if it was more worthwhile for me. That's important to know. Figuring out what "worthwhile" looks like for a disparate group of individuals in a huge variety of ministry settings-congregational, institutional, and individual-is, of course, a complicated puzzle. There's not one size, one answer, that fits all. That's why we're experimenting, in ways that we hope will help us gain insight into our practices. The complete Jottings are at "Come, you're invited." Westminster Presbyterian Church and Liberty Community Church of Minneapolis will present a joint workshop in recognition of the Rev. 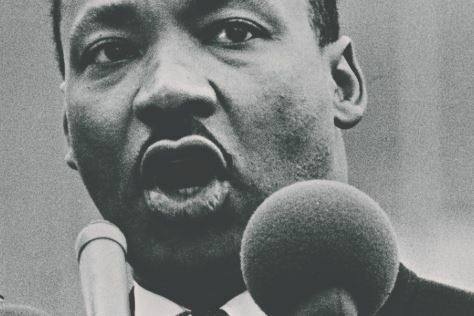 Dr. Martin Luther King Jr. on Saturday, Jan. 19, from 10 to 11:30 a.m. at Westminster. The workshop, featuring the Rev. Dr. Diane Moffett, president and executive director of Presbyterian Mission Agency, will examine the important topics surrounding King's work and legacy. Moffett also introduced the Presbyterian Church (U.S.A.)'s Matthew 25 initiative when she stopped at the offices of the Presbytery of the Twin Cities Area this Friday, Jan. 18. The story is at "Matthew 25." 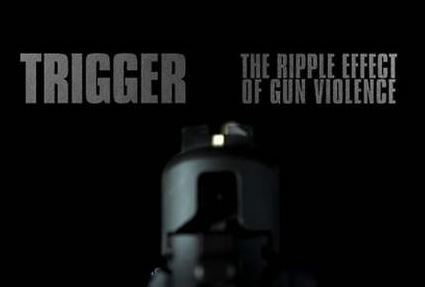 Valley Community Presbyterian Churchand Oak Grove Presbyterian Churchare partnering as hosts to David Barnhart, award-winning director of "Trigger: The Ripple Effect of Gun Violence" and "Locked in a Box: Immigration Detention," this weekend. Barnhart will be on hand when "Trigger" is presented at Oak Grove on Saturday, Jan. 19, at 2 p.m., and when "Locked in a Box" is presented at Valley Community on Sunday, Jan. 20, at 6 p.m. Barnhart is committed to "story" as a means to connect and engage community. Each showing will be followed by a discussion. The complete flyer can be found at "Documentary Film Series." 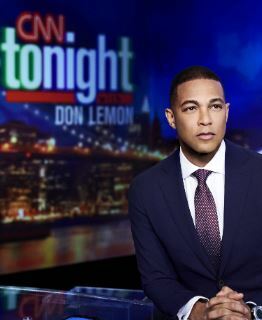 Don Lemon, a veteran television journalist, will kick off the first 2019 House of Hope Sunday Series Jan. 20, at the St. Paul church. Relatable and charismatic, Lemon's award-winning work candidly exposes injustice and shows the resiliency of the human spirit. He shares his hard-fought rise to primetime as one of the most prominent African American and gay man in television news today. Doors open at 1:30 p.m. and seating is first come, first served. The event is free and open to the public. Additional details are at "Don Lemon in Sunday Series." The Presbytery of the Twin Cities Area retired ministers' group, their spouses and guests will meet on Tuesday, April 30, from 11 a.m. until 2 p.m. at Presbyterian Church of the Way, 3382 N. Lexington Avenue in Shoreview. The group is asked to "save the date" and watch for more details as the date nears. 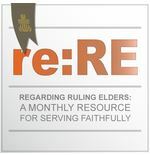 Joan Gray, a former General Assembly moderator, writes another in the Regarding Ruling Elder series. She begins, "Jane serves on the nominating committee of First Presbyterian Church and has invited Kamira to serve another term as elder on the session. 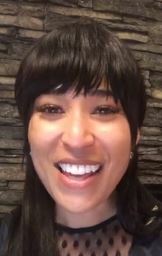 Kamira responded by sharing how discouraged, frustrated, and spiritually depleted she felt when she completed her last term of service. She declined to serve again. When Jane calls her next candidate, Ben, he eagerly agrees to serve. 'My time as an elder helped me grow in my faith more than anything else I have ever done in the church.'" Gray's complete column can be found at "Gathering the Manna." Valuable not only for their sublime musical expression, African American spirituals provide profound insights into the human condition and Christian life. Many spirituals focus on the climax of the Christian drama, the death and resurrection of Jesus Christ, and the ways in which those events bring about the liberation of God's people. 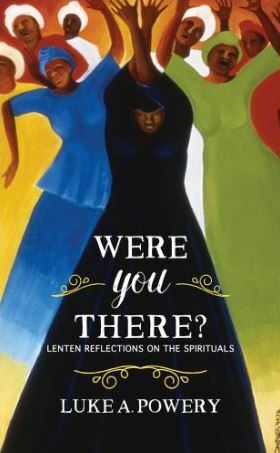 In these devotions for the season of Lent, Powery leads the reader through the spirituals as they confront the mystery of Christ's atoning death and victory over the grave. 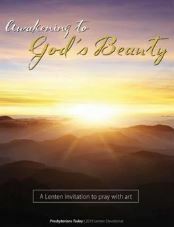 Each selection includes the lyrics of the spiritual, a reflection by the author on the spiritual's meaning, a Scripture verse related to that meaning, and a brief prayer. The complete announcement from Westminster John Knox Press can be found at "Were You There?" The Omaha Presbyterian Seminary Foundation is inviting applicants for its Apollos scholarship program. 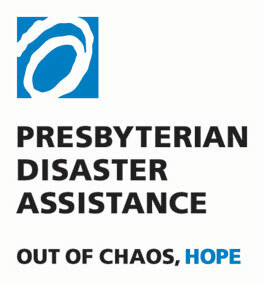 The program provides financial support to selected seminary students who possess qualities of excellence for ministry, a member of a Presbyterian Church (U.S.A.) congregation, under the care of a presbytery as an inquirer or candidate, and accepted or enrolled at one of 10 PC(USA) seminaries. Details about the program can be found at "Apollos." An Application form is available at "Applying." The Presbyterian Foundation is offering a series of webinars on engage church givers in stewardship and money-related conversations. Pastors, business administrators, stewardship chairs, treasurers, session clerks and others involved in the financial life of congregations are invited to register. The webinars are free and they will also be recorded. The four remaining topics are year-round stewardship, endowing pledges, talking about money and end-of-year giving. Details are at "Speaking of Money." It used to be winter pastors school; now it's simply pastors school. Omaha Presbyterian Seminary Foundation, the host for Pastors School, is asking you to save the date -- May 13-16 -- for the event. The Rev. Dr. Ken McFayden, will be the main speaker. McFayden serves as academic dean of the Richmond campus of Union Presbyterian Seminary and professor of ministry and leadership development. 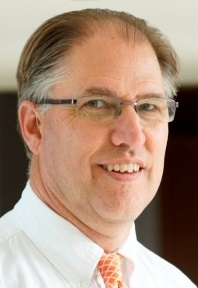 He teaches courses in the areas of congregational leadership and administration. Registration for Pastors School will begin Monday, Feb. 11. Details are at "Pastors School." Coordinators for the Presbyterian Church (U.S.A.)'s Big Tent 2019 have hit the ground running in the new year. Last week, the planning team traveled to Baltimore, the site of this year's event as well as the 224th General Assembly. The team met with the Presbytery of Baltimore and other community organizations to talk logistics and programming. "We are excited to be holding Big Tent in Baltimore this year. We're coming off of the momentum of the last General Assembly, where we engaged with the community of St. Louis. With the next General Assembly being held in Baltimore in 2020, this gives us a chance to build some engagement and momentum there," said Tom Hay, director of assembly operations with the Office of the General Assembly. 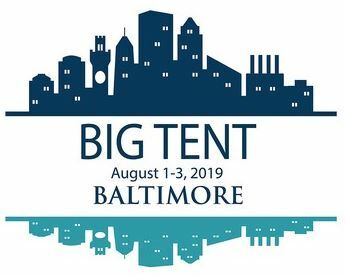 Big Tent is planned Aug. 1-3. The complete story by Rick Jones of the Office of the General Assembly can be found at "The Big Tent." Martin Luther King Jr. did not have to go to Birmingham. He had options, Rev. Dr. Kevin W. Cosby recalled this week during the annual Presbyterian Center Service of Commemoration for the life of the Rev. Dr. Martin Luther King Jr. Well on his way to becoming the youngest Nobel Prize winner in history, to that point, King seemed poised for the pulpit at his home church in Atlanta, or maybe the presidency of Morehouse College. Birmingham was a powder keg, known as "Bombingham" because of the pervasive race-based violence in the Alabama city. 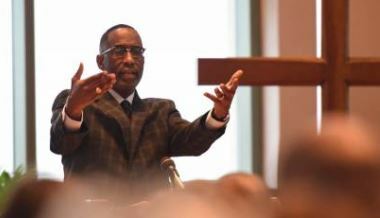 But after prayer, King told his father and his mentor that his place was with "the suffering people of Birmingham," Cosby said. "He went down there and was arrested." The complete Presbyterian News Service story by Rich Copley can be found at "Going to Birmingham." 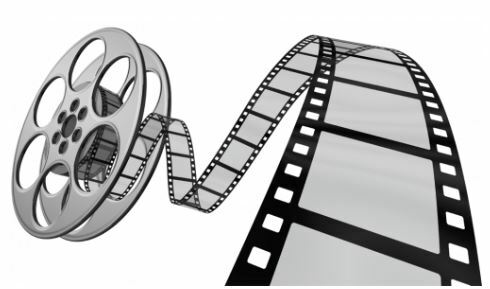 Ed McNulty, pastor of Blue Ball Presbyterian Church, south of Dayton, Ohio, and author of several books on film published by Westminster John Knox Press, regularly provides a list of his selection of the top-10 films from the previous year for believers. This year he wrote, "Because the list of readers of my on-line journal "Visual Parables" consists mostly of believers, my criteria are different from those of secular critics whose lists you might have already read. Artistic excellence is important, but the films on this list do more than entertain us. Some of their makers seek to challenge viewers to uphold values of love and support (think 'Lars and the Real Girl'), and some warn us of the dangers of an inhumane set of values (this year's 'The Hate U Give')." McNulty's complete column is at "Films for Believers."